so one busy morning, where i had to meet antariksa to get some video for a discussion we are preparing. that’s another project i would like to share later. anyway, i met bessy or he like to be called pop, i like to call him becy. he has been a good friend for years. always meeting him in odd places. we’ve been meeting regularly, since he is become the ambassador for batik lasem. he has been working in rembang heritage community and been inviting me to come to visit rembang and lasem. i might go this january after all this end of the year hecticness is over. anyway, he become a hand in hand batik seller. always carrying a pack of batik lasem in his bag wherever he go. we met in via-via that morning because he had a meeting too with antariksa. the breakfast become a small exhibition of batik lasem. and for my suprise, bessy brought a red dragon batik lasem, just finish being exhibit in solo. i’ve been eyeing to buy a batik for the past years, but have not manage to decide or fallen completely for a piece. i wanted to start to add to my mother’s inherited collection. that morning was the moment. i had a special discount from bessy and got myself the handmade dragon batik lasem. 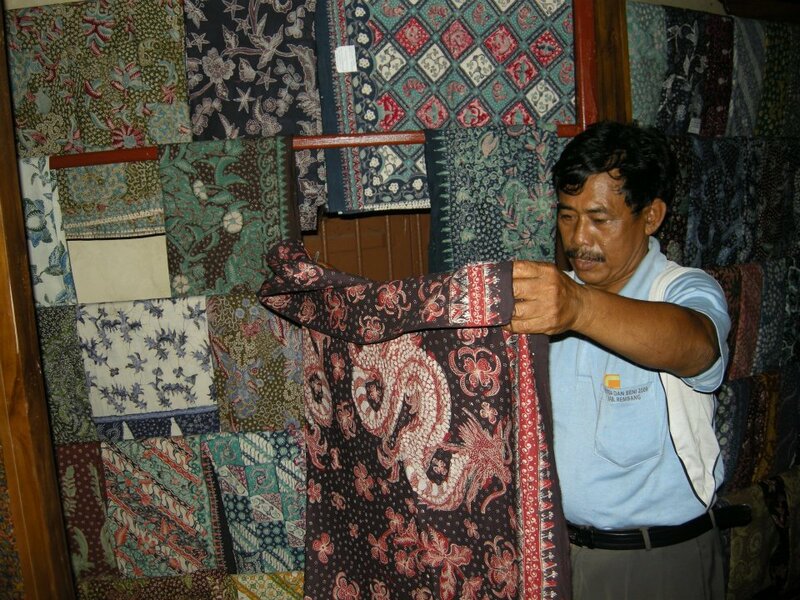 made by bapak parlan, seen in the photo above. it was such a lovely morning and such a joy i had until now. *grinning everytime i look at the dragon batik*. it is going to be the dragon year next year and giving myself with such present, i felt next year would be such a lovely, lucky journey. time to rise.